Can you guess which member of the royal family has Boddingtons for a favourite drink, or who likes the cocktail called a “crack baby”. The House of Windsor was founded in 1917 when King George V changed the name from the German Saxe-Coburg and Gotha because of the anti-German sentiment that was growing in the UK during World War I. Queen Elizabeth II was born just nine years later in 1926, ascending to the throne on 6 February 1952. This year the Queen celebrated her Diamond Jubilee, celebrating 60 years on the throne. 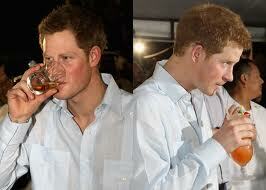 But what drinks will have been served at the royal family events? You might not be surprised to learn gin and tonic is a popular choice, it is usually served at Balmoral on Christmas Day, but Guinness, sambuca and premium vodka are also favourite with certain members of the royal family. Look through these images to find out which ones.